Is Instagram's New Pinterest-Like Web Platform Worth Your Time? Vintage is so in right now. There are apps that send in-real-life postcards, and rotary phone handsets that plug into your iPhone. 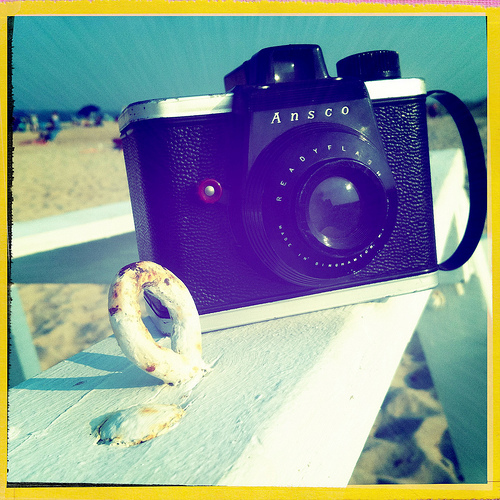 And for a while now, there have been mobile apps like Instagram that recognize this nostalgic desire and give amateur photographers the ability to kick it old school with sepia-toned filters and scratch-ridden borders. While everyone is moving toward mobile, Instagram -- who started as a mobile-only platform -- is taking a step back and joining the rest of the world on the web, launching web-based Instagram profile pages. Ooooh, visual and social web content?! What a novel idea! Except that we already have Pinterest. So, what's the deal with Instagram's move to the web? Is it any different than Pinterest? 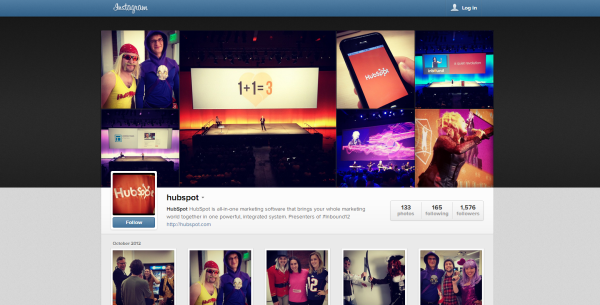 Should marketers even bother setting up their Instagram profiles on the web? This blog post will give you the full breakdown of what's going on, and whether it's worth your while. Because the last thing you need is another social media presence to maintain. Instagram is not dramatically altering the way its flagship app functions. The mobile app will remain as is, but users will now have their own web-based profile pages. These profiles, however, are the only Instagram feature to move to the web. There is no uploading from the computer, no feed of those you follow, and no search function. The layout of profile pages makes it obvious that Instagram and Facebook are related -- remember, Facebook acquired Instagram a little less than a year ago. Similar to Facebook’s cover photo, the profile displays a large banner at the top, populated by a sleek grid of the user’s photos, softly transitioning from one to another. Below this, thumbnails of each photo are laid out in an organized grid. There’s very little white space, with lots of pictures and places for your eyes to wander. But Wait, Isn't That Just Pinterest? Okay, so what's the difference between Instagram and Pinterest? Here's the basic breakdown of similarities and differences so you can keep these things straight in your head. Both Instagram and Pinterest allow users to post original content, "like" photos or pins, comment on posts, and follow specific users. The differences in the two are in organization and audience reach. 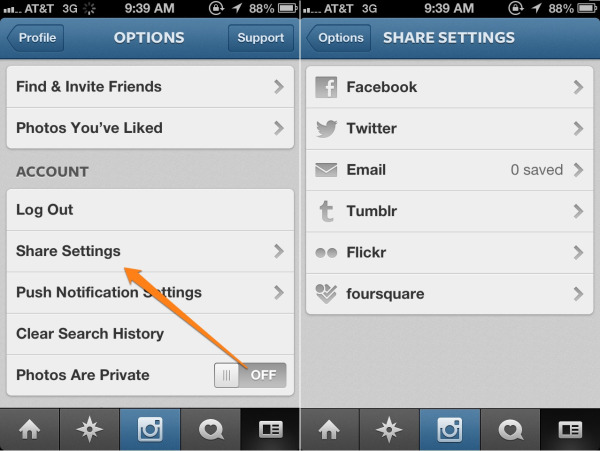 Instagram photos are free-standing and cannot be shared or re-posted by other users. Pinterest, however, thrives on features like organizing pins into “boards” and sharing or “re-pinning” other users’ content. Make sense? The biggest difference between the two networks, however, is in how users treat the networks' similar features quite differently. For example, clothing and home furnishing store Anthropologie has both an Instagram and a Pinterest page. Their Instagram photos tend to have up to 8,000 likes, whereas Pinterest pins barely hit 200 likes. Similarly, their pins produce a few comments at most, while their Instagram photos consistently have upwards of 20. On the other hand, Anthropologie’s pins have hundreds of re-pins, which means its ability to spread and share content far outweighs Instagram’s. And that content differs, too. Anthropologie’s Pinterest page has 1,710 pins, often of models dawning new collections; and their Instagram page has only 214 pins, including photos of jewelry-making workshops, office events, vintage-filtered bottles of champagne and, of course, puppies. So, Which Should I Use? Instagram or Pinterest? It’s not so much that you should choose one network over the other, but rather that you should understand the different functions of each, and utilize them accordingly. As we told you a few weeks back, 21% of people with a Pinterest account have purchased an item after seeing it on the social network. It makes sense given that a brand’s Pinterest boards are set up like digital catalogs, displaying items that link directly to product pages. Pinterest targets users that are ready to jump to the actual point of sale -- or at least who have some intention of making that decision. It remains to be seen, however, whether or not Instagram can produce this same kind of purchasing power. Companies like Chirpify, for example, are trying to make it happen by allowing users to complete a transaction by commenting "buy" on a qualifying Instagram photo. Simply Measured recently reported that while 63% of Interbrand 100 companies have Pinterest accounts, a close 54% (and growing) of those companies have also added Instagram pages to their social media strategy. Not only this, Instagram’s adoption rate has grown in the last quarter more than Pinterest, Google+, Facebook, and Twitter combined. According to Mark Zuckerberg, two year old Instagram now boasts 100 million users to Pinterest’s 11 million, a number that took both Facebook and Twitter over 4 years to achieve. The point here is simple: more and more brands and businesses are using Instagram every day, and if you have the visual content to back it up, it may be worth experimenting with the web platform to see if it yields and results. I mean ... if you thought Pinterest was a joke and were then pleasantly surprised with the results, well, you might feel the same way after a few months using Instagram, right? If you want it boiled down to a simple either-or, though, I'd say that Pinterest may present a call-to-action that more directly impacts transactions -- "click on this product to buy it" -- while Instagram drives more audience engagement and helps you expand your social reach. So you want to give this new Instagram a try. How do you do it right? We've got a few tips for you. First, when posting to Instagram, make sure your brand's Facebook and Twitter accounts are linked to your Instagram account so that your photos post seamlessly to all of your networks for extended reach. Unfortunately, you can only link your brand's Facebook account if you are uploading from an iPhone. If you are using an Android, you won't miss out on the web exposure completely -- your web Instagram page will still automatically update with your latest photos, it's just that your brand's Facebook page won't. Then, when a follower likes your photo on Facebook, this activity is posted on his/her page. Now you’re gaining exposure with not only your followers, but his/hers too. See what I mean by extended reach? It's also important that you consider these web profiles as important organic search mechanisms, even though people can't search for users or hashtags on the Instagram website. You want your profile to turn up in the SERPs, so optimize your profile with keywords, and use relevant hashtags with every picture. Besides, just because there's no search functionality on the site now, doesn't mean it wont show up in a later iteration. Might as well be prepared, right? 1) Don’t overload your audience with a new photo every 5 minutes. 2) Don’t post pictures solely of the products you’re trying to sell. That kind of posting works on Pinterest, a place for users to do some virtual window shopping. Instagram, on the other hand, provides the consumer with a new lens to see a more complete digital picture of the brand’s personality. Post interesting content with the aim to drive engagement, not to annoy, overwhelm, or bombard with hundreds of photos of your latest product.